I used the opportunity to talk about the importance of independent investigative reporting to challenge false narratives of the powerful, like the deceptive arguments used to close Palm Drive Hospital and reject the doctor-led community plant keep it open. By providing a truthful narrative that challenged the carefully orchestrated falsehoods that were being promoted by hospital board officials in the traditional media, this independent reporting assisted in the “Open Our Hospital” grassroots uprising by thousands of West County residents. 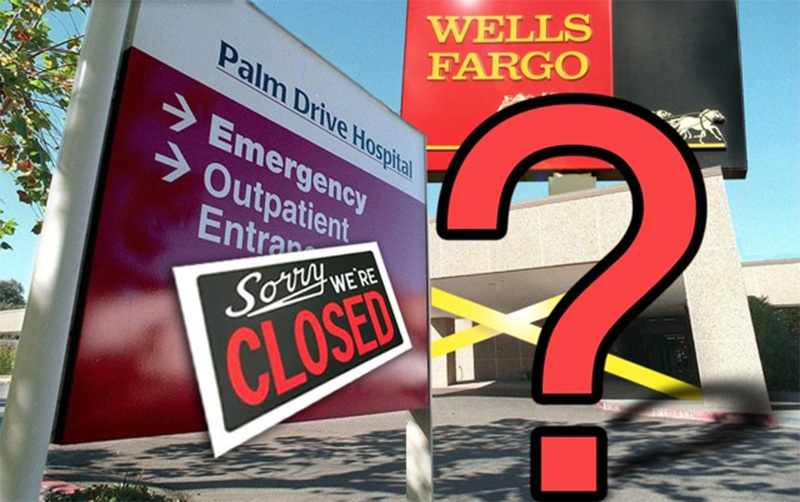 During last November’s election, tens of thousands voted for the “Doc and the Cop” to overturn the Hospital Board majority that was intent upon keeping Palm Drive’s emergency room closed. The popular intent at the ballot box voted against a candidate that had the endorsement of every elected official in the area, as well as the leaders of the politically influential group, Sebastopol Tomorrow. With a new Board majority, people power registered a rare success: getting something for our community that our politicians and so-called political leaders insisted that we could not have. As a result, with the help of millions of dollars from community leaders Dan Smith and Joan Marler, the new Sonoma West Medical Center is now open. It is the first time in modern history that a small American hospital has closed and reopened. The failure of most Sonoma County cities to “walk their talk” on climate change by refusing to purchase electric cars for their city fleets. California State Parks using the drought as a deceptive excuse to end public showers for 15 million visitors at 44 beach parks despite the unreported fact that the move will cause tens of millions more gallons of water to be used. The Sonoma Independent is part of a growing trend in investigative reporting: non-profit media organizations that exist to go deeply into issues largely unreported by a resource-challenged corporate media. These organizations include Pro Publica, Minneapolis’ MinnPost, the Texas Tribune, and the Bay Area’s California Watch, from the Center for Investigative Reporting. Reporting that brings greater transparency and accountability is often seen by those with power as confrontational. I like to think of it as being constructive, instead of compliant. Of acting as a watchdog of the powerful, instead of a stenographer. Public interest investigative journalism uncovers new facts, while raising awareness of issues, possibilities and solutions that few citizens are aware of. The Sonoma Independent is working to sustain a media that champions the public interest by raising awareness of unreported truths that can lead to public pressure for solutions that can make a difference. A robust independent, questioning media serves a unique role in providing a voice to the voiceless, a check and balance to the powerful, and a vision of new possibilities, all of which are necessary ingredients for a thriving free society. As a 501c3 non-profit, our work depends upon the support of our community. We are all in this together. Tax-deductible contributions are greatly appreciated, and can be made from this page.